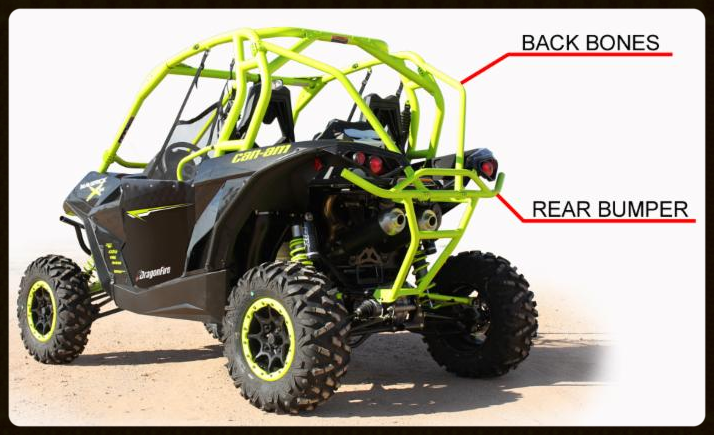 With the announcement of the first-ever factory turbocharged Side-X-Sides, Can-Am has rocked the UTV world once again for 2015! Available in both two- and four-seat versions, the new Can-Am Maverick 1000R X-ds Turbos have really put a charge into the red hot UTV scene. Naturally DragonFire is fired up about the new DS models and we had to put our signature touch on these beasts! We went back to the drawing board and created a full line of RacePace components specifically for the new DS & DS turbo Mavericks. From the front "Bash" bumper and Flying V/dash bar to the rear "Smash" bumper, BackBones and Nerf Bars. RacePace components are engineered to be light weight without sacrificing strength. This bolt-on modular system allows for you to add some serious protection and style to your ride without any cutting or welding required. 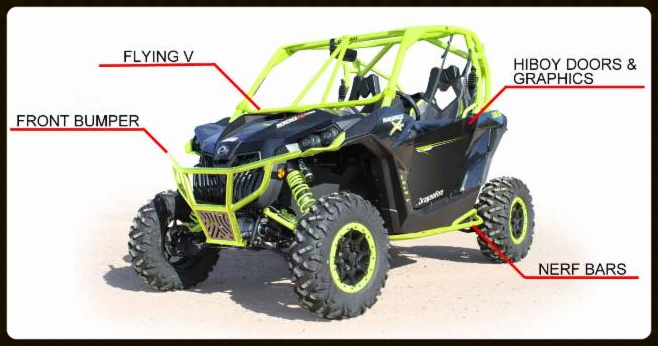 Color-matched to Can-Am specs, RacePace products are offered in Black and Manta Green. Time to accelerate your Maverick DS & DS Turbo to RacePace and... FEEL THE HEAT!